Start your Holiday toy shopping early! Check out Toys R Us Big Toy SALE. Head to Robinsons Galleria Activity Area from Oct. 6 - 11, 2014 & Robinsons Metro East Activity Area from Oct. 9 - 16, 2104 and enjoy up to 70% off on selected items. 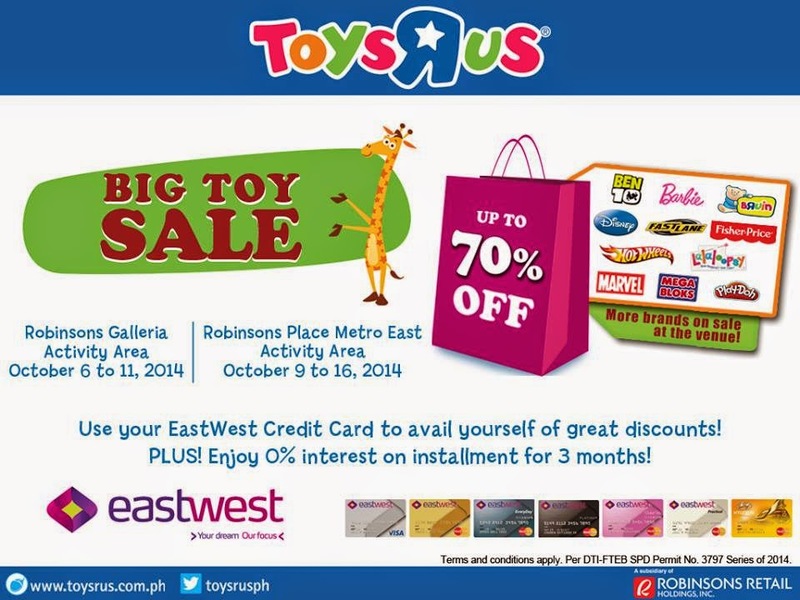 Eastwest Credit Cardholders get great discounts...plus 0% interest on 3-month installment.